Korsaranthus natalensis is a sole member of the genus Korsaranthus. 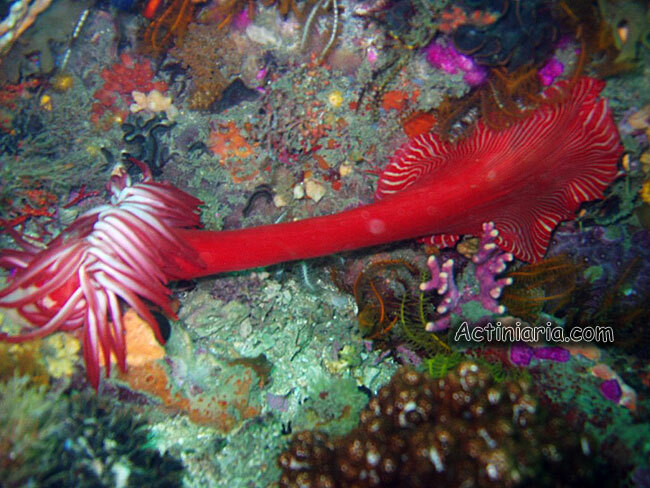 This is a very interesting mobile sea anemone attacking and feeding octocorals. 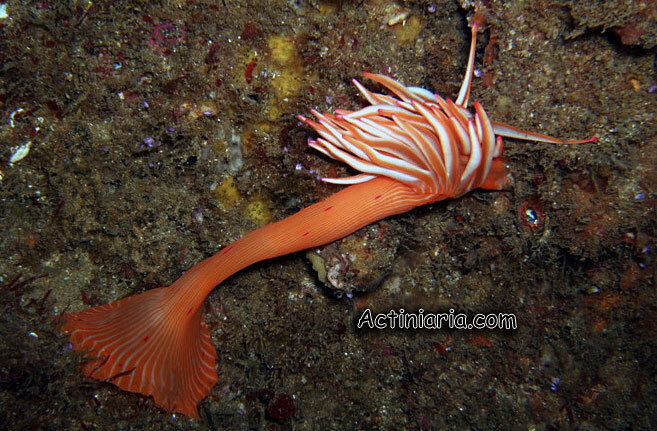 It has a distinctive and apparently constant color - red or orange with white stripes and could be easily distinguished in the field. So far it is known only from South Africa. See: Riemann-Zurneck, Gallardo, 1991, Korsaranthus nathalensis (Carlgren, 1938) nov. comb. 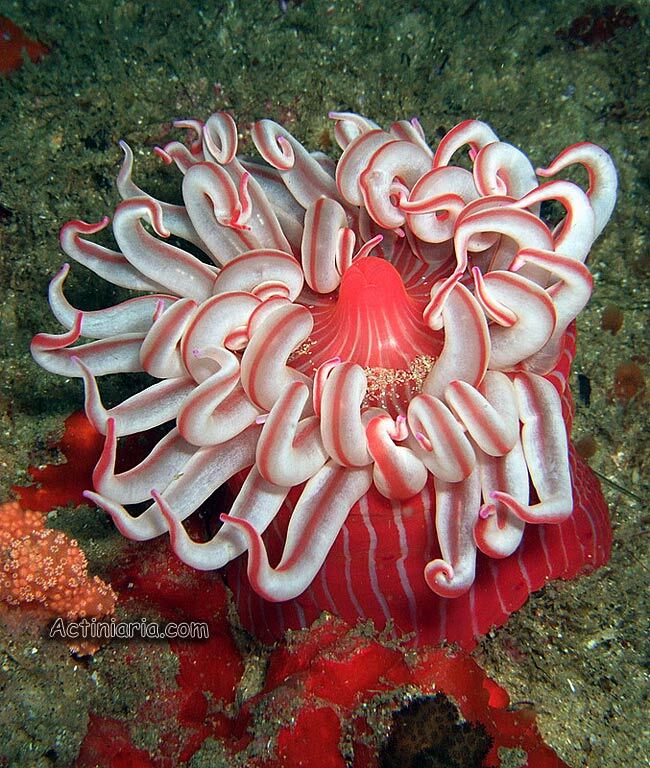 (Cnidaria: Actiniaria) a mobile sea anemone attacking octocorals. S. Afr. J. Zool., 34(4):190-196.